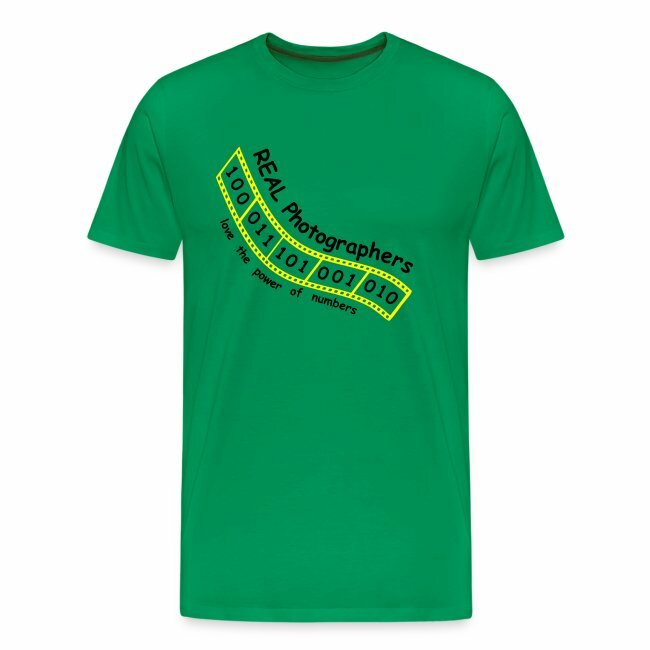 An ideal t-shirt for the person who has moved to, and prefers, the modern method of photography. 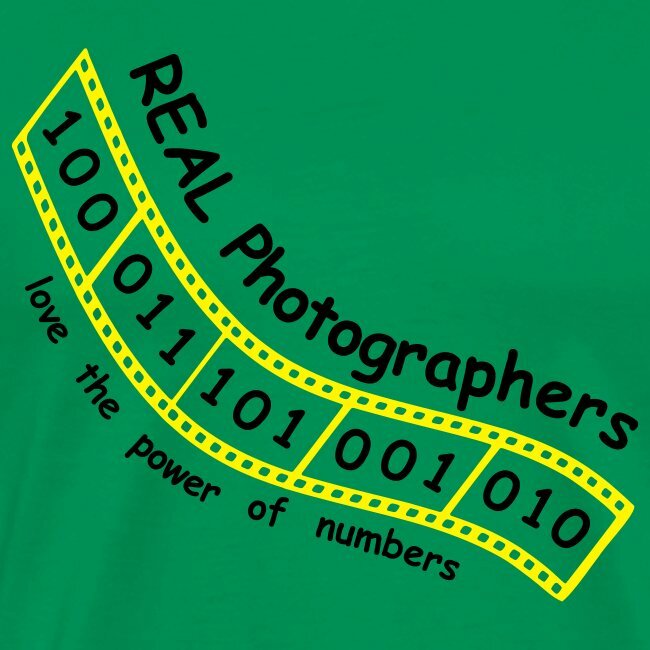 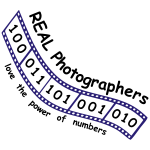 The design depicts a strip of film with the frames containing binary numbers, along with the phrase "Real photographers". 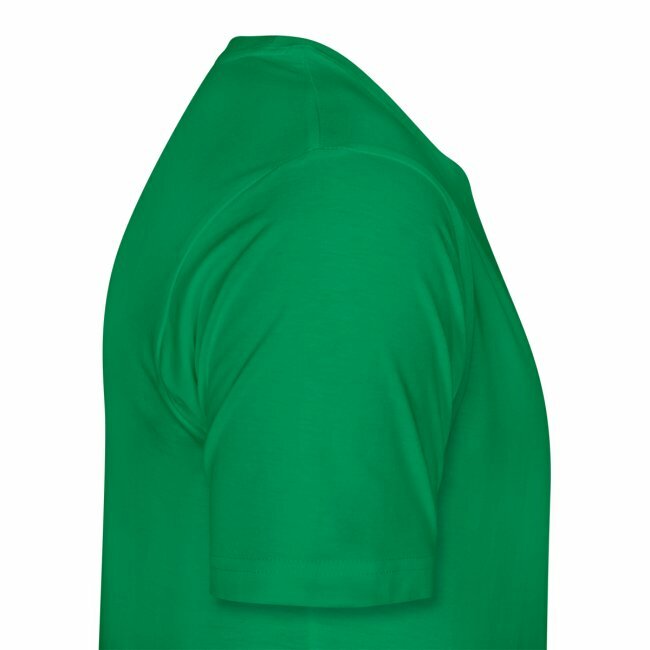 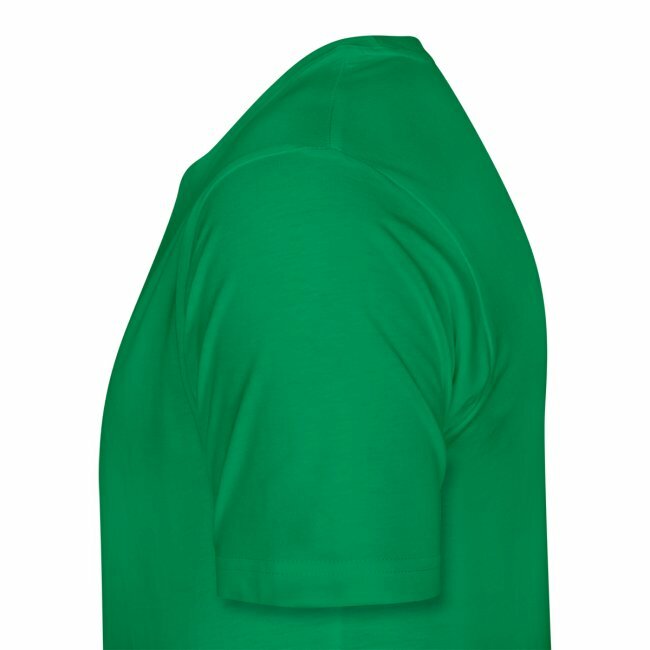 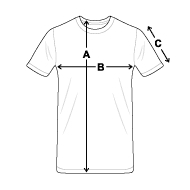 These shirts are produced by hand using flock material for the design.